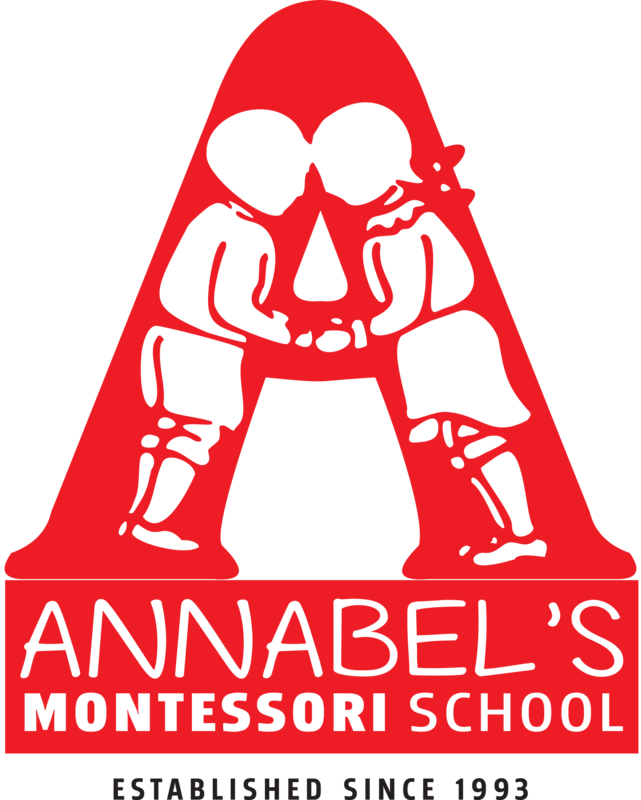 At Annabel’s we promote the Montessori methods as well as EYFS. We have weekly group activities such as cooking, science projects, P.E, music, movements, nature workshop and role-play. Parental input is very important and we pride ourselves at Annabel’s on working as a partnership. There are plenty of opportunities for updates on a child’s progress in the form of parent mornings, parent conferences and our open door policy. We also hold social events such as outings, sports days and Christmas plays. Personal, social and emotional skills. This is the first area of the classroom that a child is introduced to. 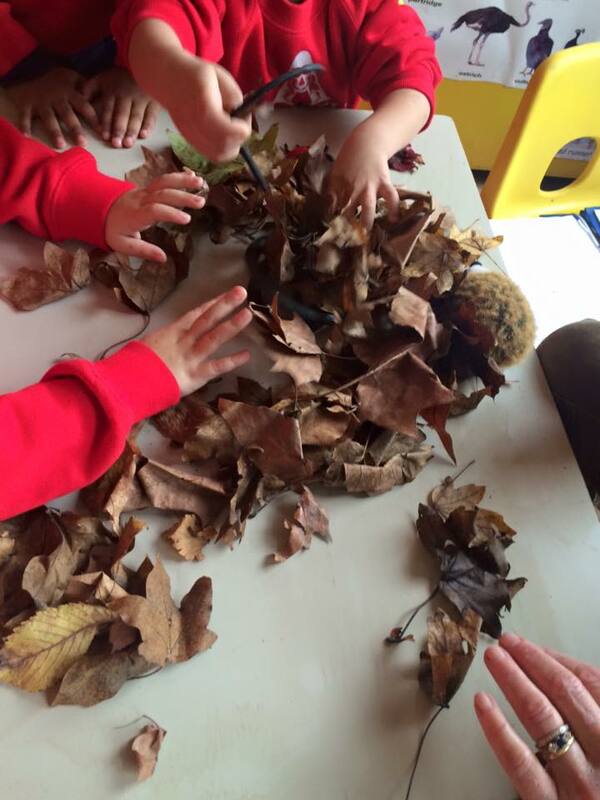 This area helps the child to practice and develop the ability to look after themselves and their surroundings. We have various activities such as pouring, transferring, folding, sewing, cutting, opening and closing and dressing frames. 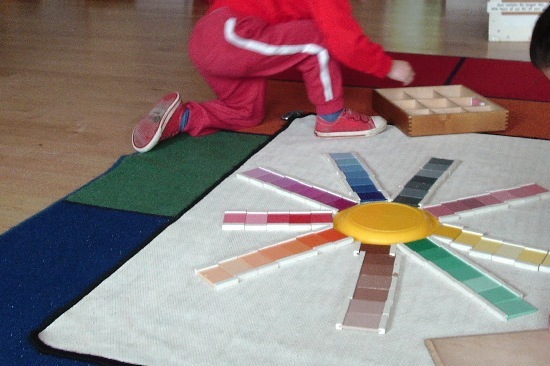 All of these activities help develop the child’s concentration, co-ordination, independence and sense of order. Within this area there are specially designed materials that encourage the development of the child’s senses – Smell, Feel, See, Hear, Taste. There are activities such as sets of blocks and cylinders that are graduated in size, use of geometric solids, sound cylinders, smelling bottles and colour boxes. 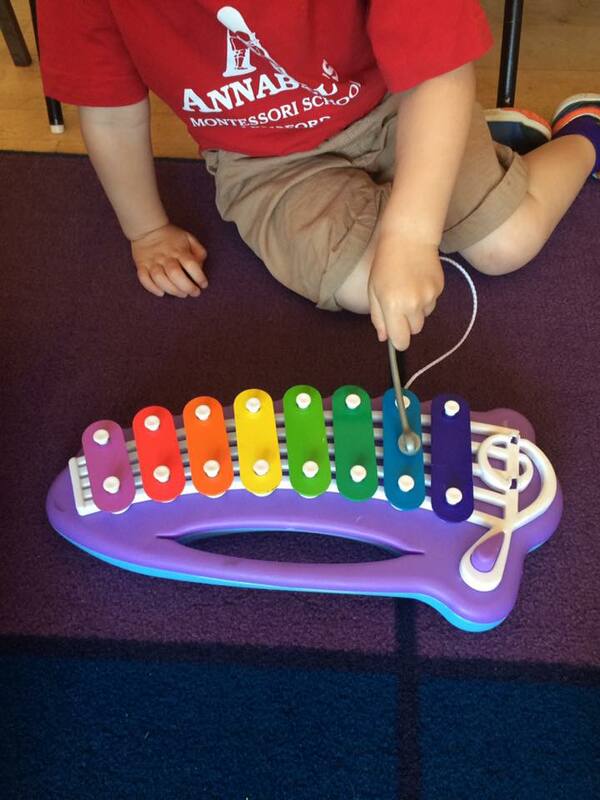 Each activity helps to stimulate one of the 5 sensory areas. The sensorial area is also classed as a foundation to early mathematics and helps to prepare the child for reading and writing. In this area the child begins to get a physical impression of various sizes and quantities by working with rods and counting out beads. 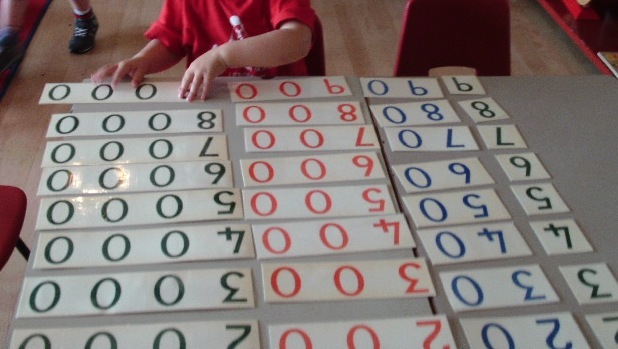 We introduce numbers using sandpaper numbers – symbols made of sandpaper that can be traced with a finger. A child can later go on to work with addition, subtraction and fractions and be introduced to telling the time. Children are firstly introduced to letters, during circle time, by looking at a sound each week and a box of objects that correspond to it. 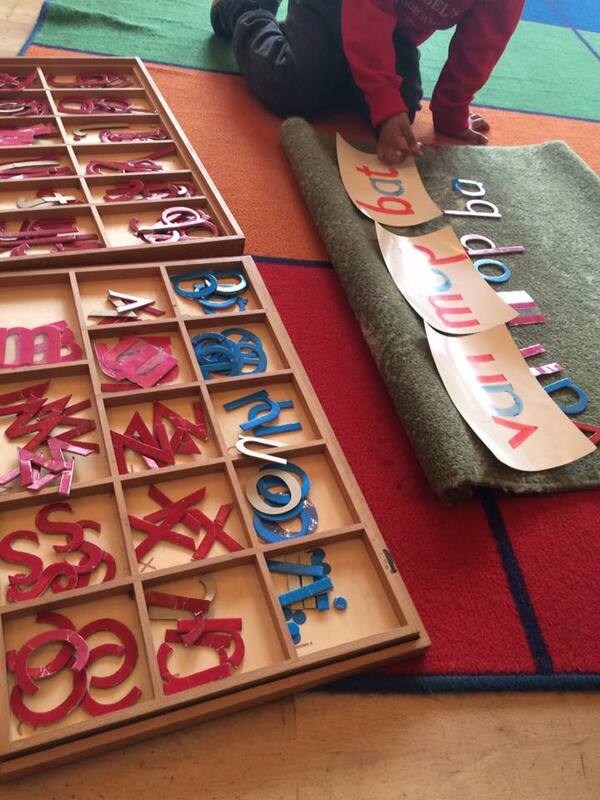 They are taught to learn phonics with sandpaper letters – that they can trace with their fingers, later they go on to build their first words using LMA (Large Moveable Alphabet) with the objects. They will then move on to use matching exercises with words and picture cards. We have our own Montessori reading programme and also use the “New Way” reading scheme. Inset work – stencils help to develop the child’s pencil control. Through cultural activities, children gain a broad exposure to many different areas of science such as living and non-living things, fun facts about sea life, animals including spiders and insects. They also learn about the earth – continents, countries, oceans and the solar system. 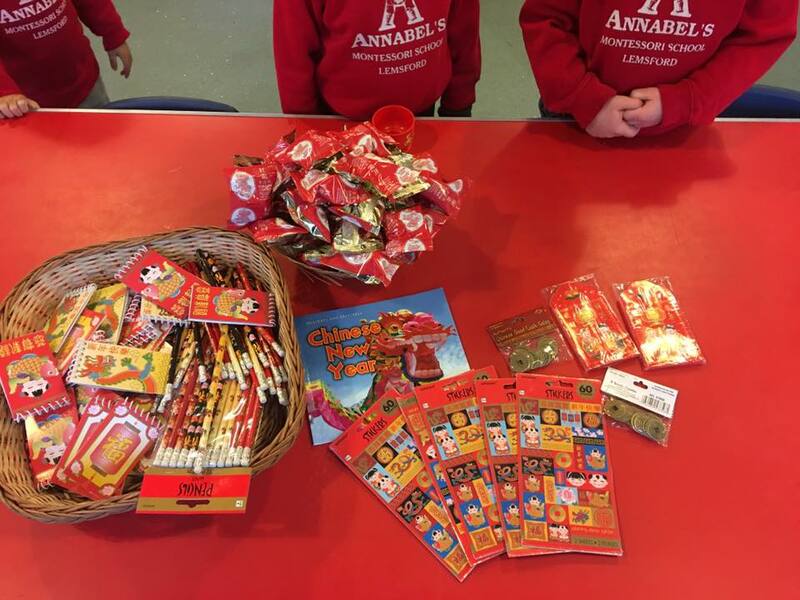 At Annabel’s we celebrate all different festivals around the world in a child-friendly way, parents are often involved bringing in costumes, photos and food of their culture. Drawing, sticking, cutting, and painting materials are always freely available in the classroom, in the Creative area. 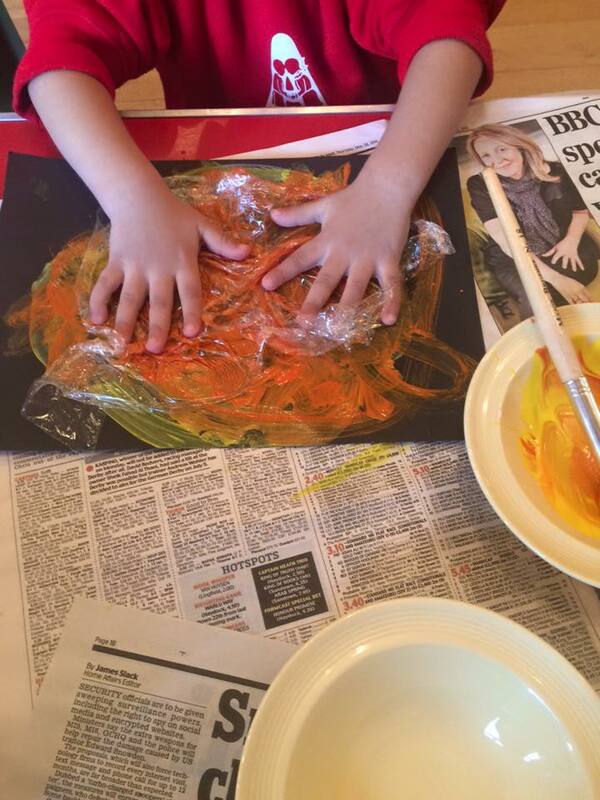 Each week children will take part in project work which will often be art related. We also do music and movements, cooking, junk modelling, role play, dressing up, sand, water and regular messy-play. Outdoor play is very important as it helps the children to develop their gross motor skills by running, climbing, jumping and swinging. It also gives the children an opportunity for social play. We are very lucky here at Annabel’s to have the use of our beautiful spacious garden, giving children the opportunity to explore using natural materials. School starts at 9am, we have an early drop option available from 8.30am. We start the day with Circle time, where we discuss the weather, the date, sound of the week and the planned activities for the session. Circle time is followed by the “Work Cycle”- when the children have the freedom of choice to choose activities around the classroom. All key staff get the opportunity to work with their own key groups. The morning session ends at 12pm.At Annabel’s we promote healthy eating, by providing a choice of fruits, water and milk for snack.The afternoon session begins with packed lunches followed by a different set of activities from the morning and ends at 3pm. School starts at 9am but there is an early drop-off from 8.30am. We start the day with Circle time, where we look at the weather and the date, the sound of the week and the art activity for the day. We have weekly “Show & Tell” followed by the “Work Cycle”- when the children have the freedom of choice to choose work off the shelves to which they have been introduced. All key staff get the opportunity to work with their own key groups. Children have group snacks during the session, and are divided into groups for the daily activities and projects. Whilst one group are taking part in the group activity the other group go out to play. When the activity has finished the groups change over. Children get the opportunity to explore and learn with nature; this can be seeds, plants, leaves, small creatures, rocks, flowers or a walk in the woods. The children have created their own herb and vegetable patch within the garden which they enjoy watering and looking after.